4	stars -	"Review for Chinook Boom Tail Piece 185 and 225 models" Mark Taylor This Chinook Boom Tail Piece 185 and 225 models is the best Boom Accessories I have tried. 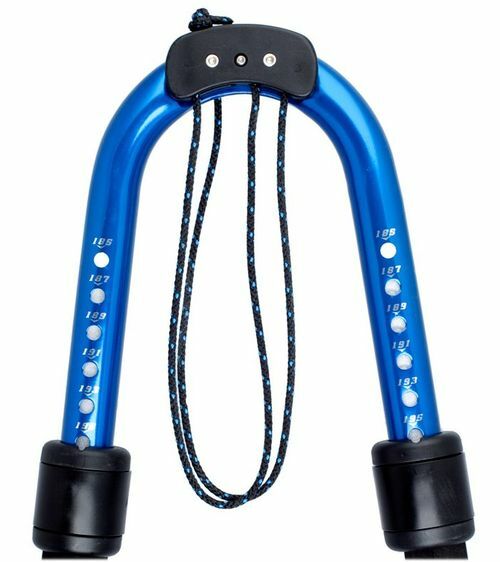 Tailpiece 62cm- Pro 1 Alloy Forged- 185 and 225 models Forged 29mm alloy for superior stiffness. In-flight outhaul compatible with 3 pulleys. Foam filled tubing keeps water and sand out. 62cm of absolute adjustment markings with 2cm increments. Standard on Pro 1 Alloy 185 and 225 models. Forged 29mm alloy for superior stiffness. In-flight outhaul compatible with 3 pulleys. Foam filled tubing keeps water and sand out. 62cm of absolute adjustment markings with 2cm increments. Standard on Pro 1 Alloy 185 and 225 models.